Hey! Been a crazy week! But I did not want to go a whole week without posting. I was in Blacksburg, Va. this weekend visiting my Dad and, as always, we had bacon and eggs for breakfast. He likes his eggs sunny side up with bacon fat drizzled over the top to give the yolk a milky sheen. Oh bacon, not only are you yummy, but your fat is tasty too. You know what else is yummy with bacon? 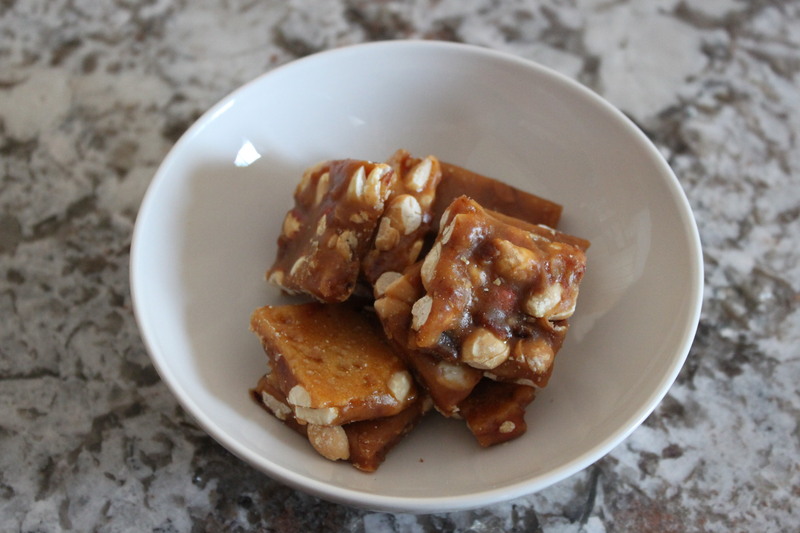 Peanut brittle. Who knew? When I came across this tasty treat at a local Dean & DeLuca there was really no question, I was going to buy it and I was going to eat it. And I did. And it was good. So very good. Now I don’t know if it is the bacon that elevates the brittle or the brittle that elevates the bacon but does it really matter? The only thing that matters is that I won’t be able to enjoy any more until after my followup cholesterol test in early May. 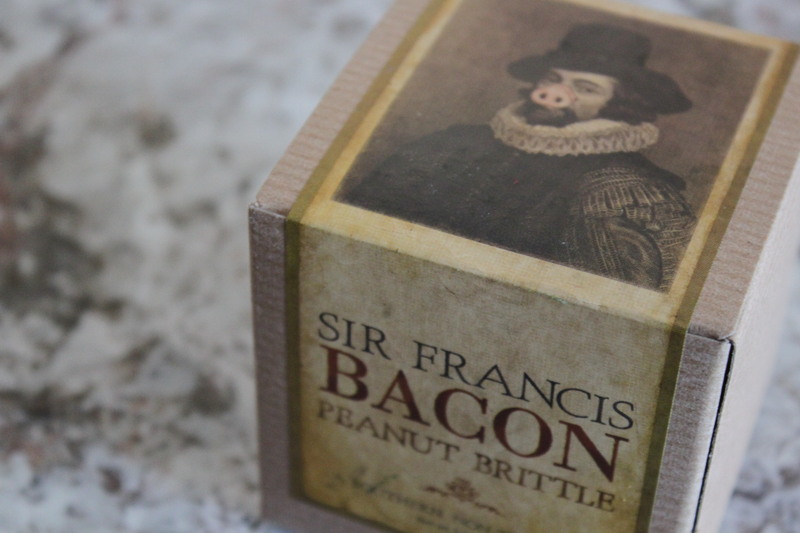 An ode to bacon … love it!